Premier began life some 20 years ago in Guildford, where their headquarters are still based. Through the ups and downs of the investment market as well as the economic and political upheavals, the senior management team's belief in the Premier philosophy remains solid. In terms of size, they currently manage funds on behalf of over 60,000 investors – large enough to make an impression in the industry but still small enough to maintain a close relationship with their customers, who currently entrust them to manage £6.9 Billion of assets. In this report, we provide a performance rating for each fund based on their ability to perform within their specific sector over the recent 1, 3 & 5-year periods. Our analysis found that 2 Premier funds had continually maintained a level of performance greater than at least 75% of their peers within the same sector. However, over two of the three periods analysed 13 Premier funds returned growth that was below at least half of all competing funds within the same sector. Premier have 26 funds with 5-years history over which time 13 have delivered cumulative growth that was greater than at least three-quarters of their rivals. Two of these funds have managed to consistently outperform three-quarters of their peers over each of the 1, 3 & 5-year periods analysed, the Premier Diversified fund and the Premier Liberation fund, who have a combined fund size of £297million. The 5-star rated Premier Diversified fund is an actively managed fund that sits within the Mixed Investments 40% - 85% Shares sector where it returned cumulative growth over the recent 1, 3 & 5-years of 9.72%, 51.22%, and 64.27%, which was consistently better than 94% of all other funds within the same sector. 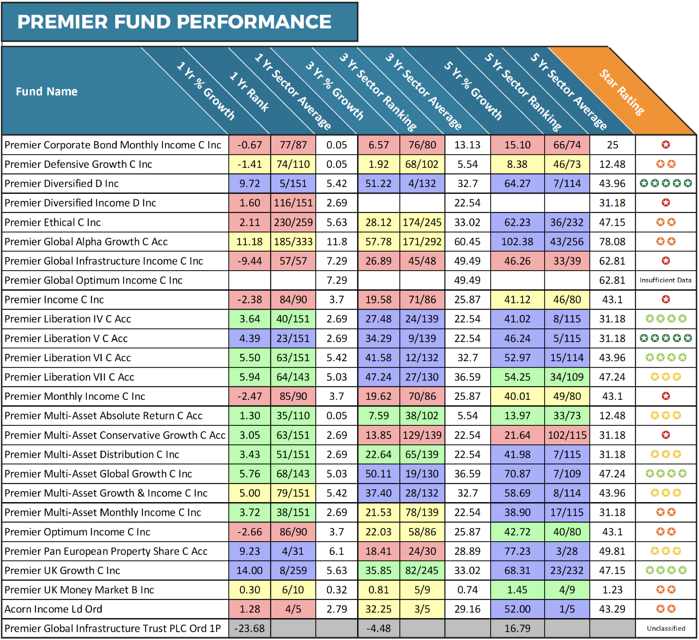 The ‘Premier Liberation V’ fund was the second fund managed by Premier Asset Management that consistently outperformed at least three-quarters of its peers over the periods analysed. This fund is a Multi-Asset fund and is managed by the seven-strong Premier multi-asset investment team. This team includes five experienced investment managers, with an average of 22 years of investment industry experience and an average of 16 years at Premier Asset Management. This fund has excelled within the competitive Mixed Investments 20% - 60% Shares sector where it returned cumulative growth of 4.39%, 34.29%, and 46.24% respectively over the recent 1, 3 & 5-year periods which was comfortably above the sector average of 2.69%, 22.54%, and 31.18%. 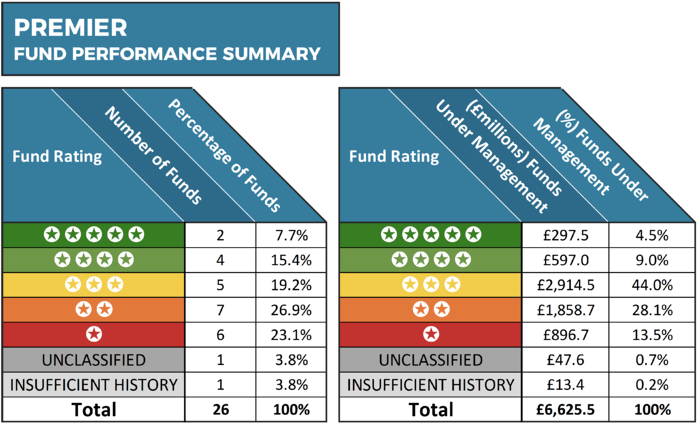 6 of the funds analysed were provided with a poor 1-star performance rating as during the periods analysed they continually ranked in the worst 25% of their sectors. Among the Premier managed funds to struggle the most was their Global Infrastructure Fund. Over the recent 12-months, this Global Equity fund returned negative growth of -9.44%, which was the worst in the entire sector, and over 5-years its growth of 46.26% was below 86% of its peers. Another Premier fund to struggle was the ‘Premier Income Fund’, which sits within the UK Equity Income sector. Over the recent 1-year period this fund returned negative growth of -2.38% which ranked the fund 84th out of 90 funds in its sector.  The Premier Ethical fund was another fund to struggle in recent times. This fund holds more than £176 Million of client funds, and over the last 12-months, it returned growth of 2.11%, which was lower than 89% of competing funds within the same sector. Although the past years have been difficult for this fund, over 5-years its cumulative growth has been 62.23%, which is better than 84% of its rivals. How Competitive Are Premier Asset Management & Should Investors Invest In Their Funds? Despite their relatively small size, Premier have a wide selection of funds on offer that cover many different asset classes. As identified in our analysis a proportion of these funds have struggled, primarily in recent times, when compared to their peers. However, it is their Mixed investment funds in particular that have been their most competitive. There are a number of funds managed by Premier Asset Management that have been very competitive and provide investors with solid investment opportunities.